The Book Bond: Another title, MISTER Gardner? This is a proof edition of John Gardner's fifth original James Bond novel. Made for reviewers and not for sale, proofs are collectible as they are technically the true first printings and can sometimes contains differences from the final book. This is the only Gardner proof I own. I got this because there is a major difference from the released book right on the cover. Can you spot what it is? The difference is the title. Here it is, No Deals, Mister Bond, with "Mister" spelled out. When the book was released the title read, No Deals, Mr. Bond, using the abbreviation. Exciting, isn't it? Of course, No Deals, Mr. Bond is generally considered the worst title of any James Bond book. 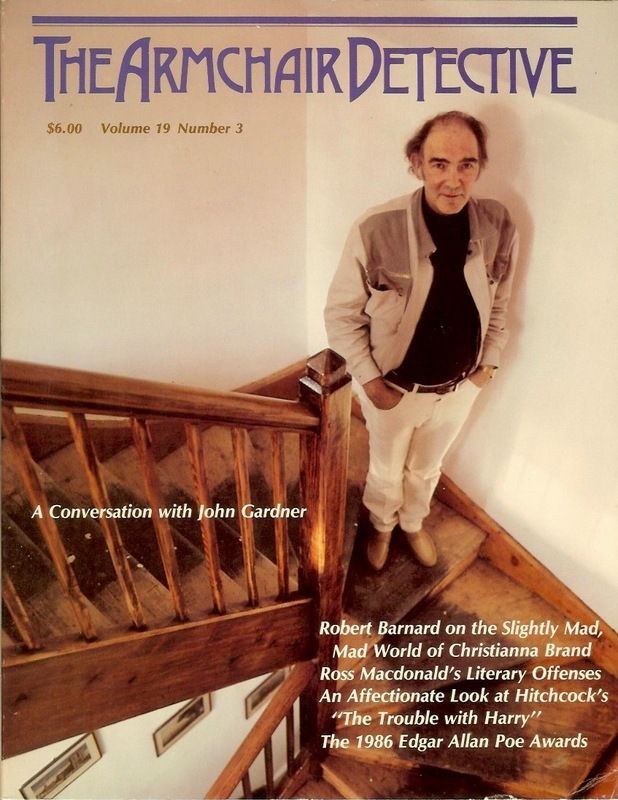 Gardner's working title, which he shared in an interview with The Armchair Detective (Vol. 19, No. 3), was Tomorrow Always Comes, which is certainly better. I've also always thought the villain's name, Blackfriar, would have made a decent title. How they arrived at No Deals, Mr. Bond is a mystery to me. 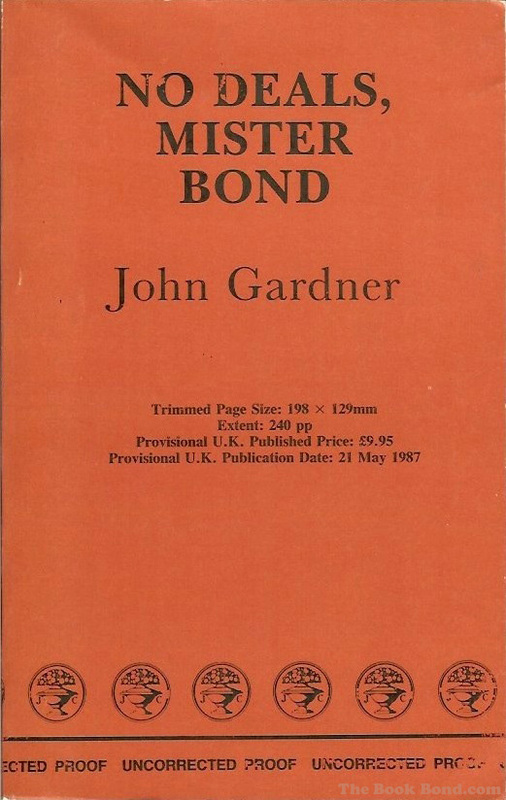 Visit The Book Bond's special Gardner Renewed page for links to all the John Gardner James Bond reprints in the U.S. and UK. On the final cover, it's "Mr."
I always took it that it was the American publisher that wanted Bond's name in the title. Odd, since the US covers always had "JAMES BOND" on them in giant letters anyway. Are there any major differences between the proof copy and the final published edition, John?